Something huge has been happening this month and while it’s been hard to discern through the discordant and contradictory energies, particularly when all we want to do is sleep, finally, there is a breakthrough to allow the knowledge to come forth. Thank you to this amazing Light, Lisa Transcendence Brown, who’s words I will post here simply because it feels right to share her explanations in these 2 parts, as she has written for all to understand. Earlier today we had Crystal/Star Particle activations, Diamond Light Code Frequencies, Some White Purity, Some Rainbow… very “Light”… these focus on the upper regions of the physical/LightBody…. nasal canal behind the bridge of the nose (Pituitary Gland), crown, back of the neck/shoulder blades underneath. These unanchor, cause gravity to go. Anytime we have Crystalline upgrades, the spine/back of neck anchor these/trigger. These cause “lifting” as we LIGHT’n up alot. Yesterday the head got slammed with lasers after “eruption” energies of “I’m done” energies got triggered too. Lots that had built up for many were triggered/pushed to “be done” with all of that so that “moving on” comes forth. Focus was “forget it”, could not do a thing work-wise… and I lost the whole day of work/internet…. which is meant to be, and we do understand it and we flow…. While new programming of the new hologram was transmitted so that new realities could start to play out there. 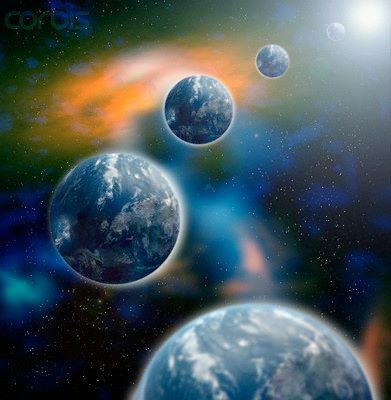 Yesterday was “off” as old/new realities tried to “adjust”… we are in an “aligning stage” right now…. Back and forth, back and forth… in every moment to see what mindset all will choose/believe/do. We are dealing with mindsets HUGE right now, for those are the challenges that are really creating realities so very fast. The ability to shift is faster after we go through those really human days. We are held in limiting dimensions, to see the “old programmed ways”, release anything old in our bodies, so that when we shift we can expand beyond them, releasing the limits of the physical world…. and it’s sooo very fast right now again. Realities are very subtle now, as certain frequency activations on certain days target the upgrading of our nervous system and throw us into overload (intentionally), for as we continually pull away to rest/nurture/sleep/get in nature/connect, after sleep and integration of this higher light, we awaken to be able to handle more… some the next day, some after many days… for it’s going to depend on one’s own commitment/unification thus far. We are to operate at a slower pace, which allows us to accomplish more. These gamma blasts, solar flares, star particle/crystalline upgrades strengthen our bodies AFTER we have weakened to release the old human programs/suppressed emotions/separation and come to zero point field to reverse all within each cell, each gland, each organ, every part of us. Every sub-molecular part of us has to completely purge/release/reverse. This is an entire evolution of all our bodies, and entire integration through light. An entire release of everything human that was of a lower dimensional consciousness of lack/fear that was inside of every fiber of our being. Every activation of light now, in every moment is targeting many things. This is why you will see me write a multitude of “target areas”, for it’s not just the heart or just the head anymore. It’s now, the heart, the head, the spine, the throat… in every moment, it’s just that what each frequency targets might be “extraction” (which is physically painful), or filling in crystalline (which pushes old stuff out, upgrades in light, gives all the flighty/gravity going feeling), some are lasers targeting the spine/the brain, some are discordant to push up anger/cause eruptions of what has been suppressed/tolerated and is not acceptable anymore, some is to release ancient information, so to compress, to separate all from SELF AS SOURCE to see where any separation exists. Some transmit new programs in the hologram out there, some continually go back and forth to assist with synchronization. This is what I write for all, so that all can pay attention to their own physical body/emotional body/mental body/energy(Light)Body and physical world out there, simultaneously to start to understand how all correlates and comes from the programs within. Rarely am I experiencing these things. My sharing these Cosmic Solar Crystalline Star-LightBody/Gaia Ascension/LeMUrian/Galactic Upgrades, is just one part of how I assist. I write & share so that those who are ready to embrace this process can understand what is going on and do this themselves. I do share when I personally am affected, as it affects my “work” in replying and getting as much done for everyone else and I can’t produce as much when I have to sleep. The amount of work that I produce by myself is an intense amount to others. Yet, when we go through a massive blast/upgrade, I have to sleep to integrate/clear old timelines too. The hardest part lately is having to upgrade all of the technology to keep up with the new frequencies. Computers/internet… the frequencies and cosmic upgrades have become so prominent and high that the old frequency equipment is getting quickly “outdated”, slow, sluggish and can’t keep up with these frequencies here. Many will find this true in their world. For some, for a period, they are not supposed to be online, on electronics, as it interferes with the LightBody Tuning process… yet eventually this changes too. You may find my ENERGY UPDATES changing again. I’ve had to do this many times as we move into new huge phases of our ascension here. We do this from time to time as the frequencies we have access to change in what they mean for us. They do not change, we access higher octaves and how we are affected does. Yes, I post on the frequency activations, but each dimension, each reality, each person is affected according to their own dimension/density/unification and UNIFIED FIELD SPIN/CONNECTION AS THE NEW EARTH LIGHT GRID. A very human human will have one experience, while a “just coming into awareness” human/higher-self split human will have another. One who has been working with their LightBody, sleeping and these upgrades with intention and intentionally matching all up, will also have a “faster response” for it’s one’s focused present awareness that gives all the ability to do this. The more each pays attention and is actually present with all of their bodies/realities as these upgrades occur, the “faster” one will notice things. This too is a part of our Ascension Evolution. Just like earlier, we used to have “star particle activations” and then we had “rainbow light frequency activations”… yet now they are the same activation as we have risen in frequency for them to become one. We’ve also entered a phase where we have gone way beyond Gamma blasts… we’ve reached an entirely NEW PHASE OF COSMIC SOLAR/GALACTIC/LIGHT Upgrades now. And we have shifted to lasers targeting the head region, as there is an “opening” occurring inside, which correlates to Agartha, Inner Earth, as well, so that those energies can come forth from within us to carry forth in this physical reality here.